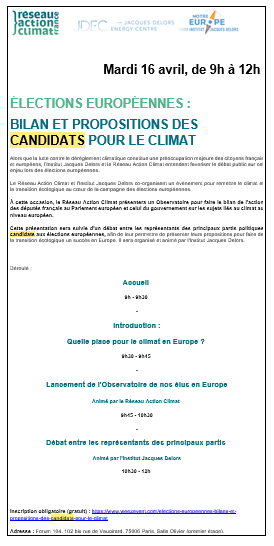 The Jacques Delors Institute, in partnership with the European Movement Basse-Normandie, hosted on 18 December 2015 a civic panel discussion on the theme "Europe: facing climate change". This Synthesis presents the main elements of the debate. 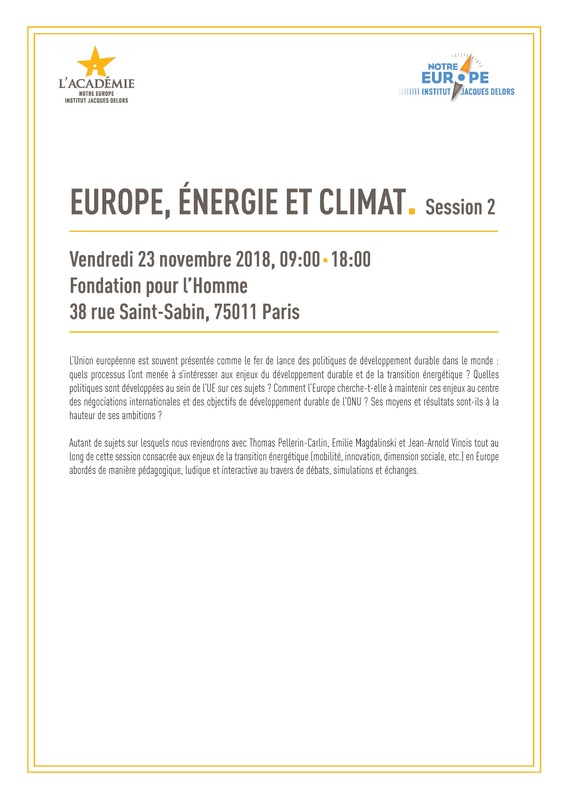 Following the Paris conference on climate change, the Jacques Delors Institute, in partnership with the Basse-Normandie chapter of the European Movement association, hosted on 18 December 2015 a civic panel discussion on the theme “Europe: facing climate change“.